China Is On My Travel Wish List – China is a huge country with never-ending possibilities, sights and attractions – what fascinates me about this place is the diversity and mixture of old and new, past and future. And how they all seem to blend in with each other and be a part of everyday life of the people. There are so many things to see, but the only problem with traveling around China is the distance between all the must-see places. China’s long history has left behind some amazing works of art, culture and architecture. From the army of 8000 Terracotta warriors to the 1000 year old Leshan Buddha – the largest Buddha statue in the world, there are many world famous wonders in China. However, the number one wonder to see is of course the Great Wall of China. This 2000 year old wall that stretches over 5000 km across the country, is one of the most popular attractions in China. 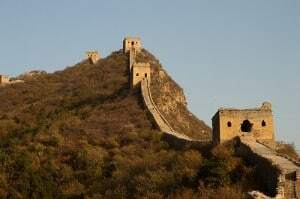 I would like to take Great Wall of China tours to the more remote sections of the wall, and maybe stay overnight nearby to see the golden color of the wall at dawn. Another fascinating place I would love to explore is Mount Wudang with its temples, palaces and bridges, and Nathan wants to go there for its world famous martial arts. Both Tai Chi and Wudang Kung Fu were first practiced on this mountain. China has the third largest number of UNESCO World Heritage Sites (after Italy and Spain), and due to its long history there are many ancient beautiful cities and temples. 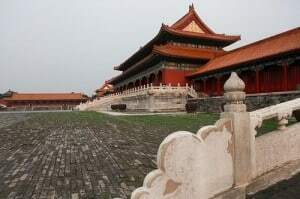 The Forbidden City is one of the ancient cities that interests me the most. The city got its name from being off-limits to the world for 500 years, it wasn’t until the 20th century that the public was allowed in. Perhaps because of this, the city has the best preserved ancient buildings in China, and is home to the largest ancient palace in the world. While China’s cities seem fun to visit, it’s the landscape and nature on the country side that attracts me the most to this country. Ancient rivers and lakes, sacred mountains and limestone hills, the diverse nature that has inspired artists and poets for centuries would be a beautiful sight. Aside from the tranquil nature, China also has one of the greatest diversity of wildlife in the world, including the Giant Panda, South China tiger, golden-haired monkey, white flag dolphin among many others. 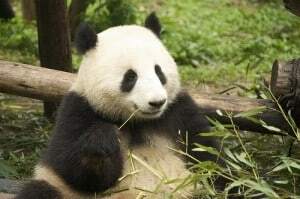 I would love to visit the Chengdu Research base of Giant Panda Breeding, to see – and maybe even hold, a panda. Shanghai, Beijing and shopping in Hong Kong are often referred to as shopping meccas of the world. From huge street markets and gigantic shopping malls, to tiny boutiques and corner shops, along with massive sale seasons – these cities are made for serious shoppers. Are you going to China to work? Before visiting or teaching in China, there are some great apps to check out. I get the feeling that the shopping malls that amazed me in Kuala Lumpur would be nothing compared to the ones in Hong Kong, where some have over 700 stores..! If you’ve never visit Hong Kong now’s the time to do it: this breathtaking, busy and brilliant city is guaranteed to give you the trip of a lifetime! With its Chinese roots, history as a British colony and subsequent return as a Special Administration Region of China, you’ll find that Hong Kong isn’t really like any other place in the world. You’ll find plenty to love in this city, from the food to the fashion to the friendly locals. Hong Kong Museums are some of the best in all of China. It’s well worth visiting at least a couple museums while you’re in Hong Kong, time permitting. You have plenty of great options to choose from, including the Museum of History, the Museum of Art, the Racing Museum (where you can learn about the history of horse-racing in this former British colony), the Space Museum, the International Hobby and Toy Museum… Well, you get the picture: there are a lot of great places to check out! Best of all, many museums offer free admission on Wednesdays. Hong Kong has the most skyscrapers of any city in the world—more than 1,200! This means that you can get some amazing metropolis views, with layers upon layers of buildings. Best places to check out are the Peak or the view from the Star Ferry as you cross Victoria Harbor. Or if you’re looking for a backdrop to your evening, check out one of the amazing rooftop bars; Hong Kong really does these better than anywhere else in the world! At night, Victoria Harbor comes to life with the Symphony of Lights show. The waterfront Avenue of Stars, Hong Kong’s version of Hollywood’s iconic Walk of Fame, will have you oohing and ahhing at the views even during the day, but it really gets magical at 8:00 p.m. every night, when the whole harbor is lit up with a beautiful lightshow called the Symphony of Lights. You’ll be able to hear the show’s narration via loudspeakers spread along the Avenue of Stars, so it’s a great place to watch from. There are plenty of neat temples. Although much of Hong Kong’s population isn’t particularly religious, you’ll find no shortage of temples, which can be fascinating to explore due to their architecture and unique iconography. Po Lin Monastery is one of the most-visited of Hong Kong’s temples, or check out the Ten Thousand Buddhas Monastery. Visiting temples can be great for someone on a budget, as many offer free or cheap admittance, but they’ll still give you a good look into the culture of the area. Hong Kong’s food is amazing. Whatever cuisine you’re after, you’ll find it here. Hong Kong has a huge array of restaurants specializing in dim sum and other Asian or world cuisines; there are plenty of special dishes that are native to Hong Kong as well. There are tons of things you should try during your visit. Know that markets can be a great place to sample local foods—don’t avoid the street food, just look for clean places with plenty of customers and freshly-cooked food. Speaking of markets, you can’t go to Hong Kong and not see the markets. Mong Kok is one of the most-populous neighborhoods in the world, and it’s got some great shops for everything from food to souvenirs. Check out the Ladies’ Market or the Temple Street Night Market, and you’ll find yourself lost in the scents, sounds and colors of these vibrant streets. Even if you’re not much of a shopper, you may want to remember that Hong Kong doesn’t charge sales or import taxes, meaning that prices, for everything from electronics to shoes, are often cheaper on the island than they are anywhere else in the world! Hong Kong brings together all the best of urban and outdoors. No matter how active you are, you’ll find something fun to do outdoors in Hong Kong. From tai chi lessons in Victoria Park to a cruise on Victoria Harbor to hiking the iconic Dragon’s Back or some of the other great trails in the area, there are plenty of great options—so get out and explore! It’s easy to get around from place to place. Hong Kong has one of the best transit systems in the world, meaning that wherever you want to get to, you can likely find a way to get there. Check out the extensive network of buses and trams, and make sure to pick up an Octopus card—no only is this card helpful in paying for various public transportation, but you can also use it at various shops and restaurants around the city to really simplify things. You don’t have to worry about being trapped behind the Great Firewall of China. Unlike mainland China, you won’t need to install a VPN to access your social media or email accounts. Of course, you may want one anyway so you can stream Netflix on those rainy days (believe it or not, your account will be blocked when you try to access it from overseas), and a VPN will also protect your personal information when you’re accessing public WiFi networks (no one wants their identity stolen while they’re traveling abroad, which unfortunately happens pretty frequently!). That said, Hong Kong actually has some of the least-intrusive government internet censorship policies in the world. Forget that complicated Chinese visa process; Hong Kong handles its own visas, and many visitors (including those from the EU, Canada and the United States) aren’t required to get visas unless they intend to stay longer than 90 days on the island. And there are plenty of airlines that fly into Hong Kong International Airport as well. So really, you have no excuse not to book your trip there right now! What were some of your favorite parts of your trip? Do you have any tips for others who are planning a trip there? Please tell us about them in the comments! Shanghai China is known to be the most prosperous city in China since 1930 and continues to be so. It is the major financial hub and also the world’s largest container harbor. There are so many things to do in Shanghai China. Shanghai is a prominent global city which has completely transformed into an ultra modern city with huge skyscrapers and world of art technology. With well-organized infrastructure and various tourist spots like Shanghai Zoo, Baoyang Road Harbor, Museums, Temples, Gardens and Pearl Tower, Shanghai is a hot city among travelers. A trip to Shanghai China, the largest city in China, offers a lot of excitement at every turn. The bristling high-rise buildings in the city transport you to the future; but you will face reality on the street level, where everyday drama unfolds with bewildering variety. An old vendor is peddling veggies along a murky side-street that is a stark contrast to a Prada-clad head-turner leaving her sunny condo for a day in the salon. Check out our list of things to do in Shanghai China. Assumed to have been built 400 years ago, the Yuyuan Garden is a very popular place to visit. With its huge rock and tree gardens, ponds, crisscross bridges, antique furnishings and murals, sculptures and carvings, it’s easy to see why it has become so popular. The downside is that it can get very crowded, so it’s best to avoid during the weekend! The Temple in its modern form can be traced back to 19th century with a huge copper bell weighing about 3 tons, tracing its setting back to Ming Dynasty. You’ll find a white Jade Buddha statue which is quite impressive, and the architecture of the temple is pretty unique. This museum has a splendid collection of old trams, rickshaws, vintage cars, Jades of historical importance and coins. It truly represents the ancient Chinese art and is a symbol of ancient philosophy and culture. And finally, one of the city’s best attractions – The Bund. This place offers an amazing contrast and mixture of old and new: walking along the river you will see old colonial architecture on one side and modern skyscrapers on the other. 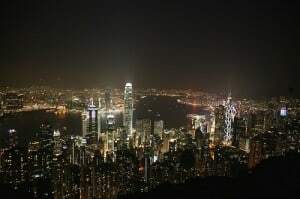 This is the best place to find yourself at night, as the views of the lighted skyline is very impressive. Go in the afternoon so that you can experience the place both during day time with its awesome architecture, and after dark with the beautiful views. The birds’ competition in Guilin Park takes place amidst everything related to birds. Contest starts at 9am, with battle rounds taking place in hushed circles away from the busy market area. Five bird groups are rotated as judges score their performance according to: volume, change of tone and length of song. The birds that tweet louder and longer are sure to win. This is one of Shanghai’s top five tourist attractions and one of the strangest too. Experience the bizarre, trippy audio-visual effects being played as you travel in an automated car ‘into the core of the Earth’ under the Huangpu River. They say that the traditional Chinese acupressure is not for the weak-hearted. Chinese acupressure is like China itself, hard and tough. Green Massage, located at the rear of Huaihai Park, will provide you a healing massage that is a level over many other massage services in Shanghai. The Shanghai Museum, located on People’s Square, has much more than its calligraphy or jades or ceramics exhibits. In fact, the shape of the museum itself mimics an ancient bronze cauldron. China Tobacco Museum is the largest of its kind in the world. Look at the bewildering array of smoking paraphernalia that is spread over three floors. Shanghai Glasses Museum displays hundreds of different frames and lenses, some of which date all the way back to the Song dynasty. M50 at 50 Moganshan Lu is home to over 25 art galleries and spaces, including some of the city’s best. Eastlink, in Building No. 18, M50 along #50 Moganshan Lu, at the vicinity of Xi Suzhou Lu, owns some of the most spectacular collections of contemporary art in China. ShanghARTShanghART, located in Building 16, M50, 50 Moganshan Lu, near Xi Suzhou Lu, has over 40 artists on their roster, including China’s best artworks. During its heydays, this park was always crowded but it is now almost empty. Although, amateurish stunt shows are scheduled daily at 10.30am and 1.30pm; but otherwise, the sets are a ghost town. You can roam the area in peace, surrounded by dilapidated replicas of Hengshan Moller Villa, Nanking Lu and Waibaidu Bridge. Invented by a street vendor in the later part of the 19th century, this gustatory delight today has become so popular that they are a Chinese food icon in Asia and around the world. Authentic dumplings that have stood the test of time are found in these eateries in Shanghai. These are lively and friendly place where you can taste cheap seafood supper. Most popular outlet for crayfish is the Crayfish House (numbers 17 and 23) and is marked by the huge queues of young hungry customers outside. The best in seafood barbecue at number 38 is usually a safe bet. A lovely vintage -filled villa, located in #375 Zhenning Lu, adjacent of Yuyuan Lu, in Jingan district, is serving delicious traditional Shanghainese cuisine. You have to make an advanced reservation. Be part of Shanghai’s nightlife and enjoy its music. There are so many options to choose from. The 58th floor of the new Ritz-Carlton Pudong has the terrace Flair where you have one of the best views in town. Senator Saloon houses lead all other venues. The place boosts of a lovely interior of dark wood beneath a spectacular tin roof brought especially from Texas. Mokkos is a hidden bar down a quiet alley on a quiet street where the friendly barmen will only serve you shochu and plum wine with quirky reggae music in the background. The wood-panelled glory of Art Deco is the pride of Waldorf Astoria’s long bar where you can listen to classic jazz music while sipping your delectable cocktails complemented with oysters and nibbling sophisticated bar snacks. Bar Rouge is always packed with a crowd of party posers, from slick European chino-and-loafer types to the local Chinese jet-set. With members in their 80s, these young-at-heart players are performing at the Fairmont Peace Hotel. If shopping is your thing and you can think of nothing better than spending your spare time stalking through street malls, you’ve picked the right place for a holiday. Shanghai has some of the best markets, malls and shopping streets in the world. Here is a guide to some of the best shopping in Shanghai, all in close proximity to the main tourist accommodation precincts. 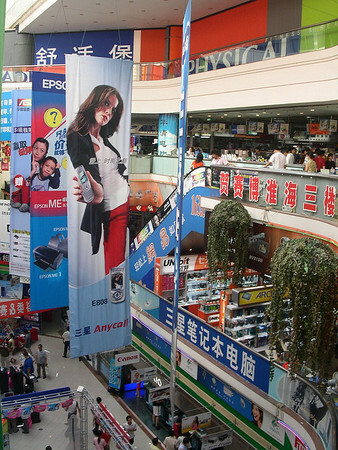 Nanjing and Huaihai Roads are main shopping streets where you find an overabundance of international brand names. But if stylish shopping is not your interest, you will enjoy exploring several flea markets under the impressive boutiques, department stores and shopping malls of the city. At Yuyuan Garden, there are several outdoor bazaars selling souvenirs, arts and crafts; and a rare cache of souvenir items, arts and crafts are also found at the Cultural Street Market on Fuzhou Road and the Antique Street Market on Dongtai Road. The clothing street market on Shimen Road is a traditional open-air Chinese markets that offer troves of bargain. Whether it’s jewelry, clothes, technology or food that tickles your fancy, Shanghai will deliver. All of these shopping areas are in close proximity to the main tourist accommodation precincts. Nanjing Road is not only the main shopping street in Shanghai, it’s the biggest in China and one of the busiest in the world! Located in the heart of the city, it stretches over one kilometer long. From designer brands to knock-off goods, this shopping strip has it all! When you get sick of shopping, saunter down to People’s Park, smack-bang in the middle of the street. You can have lunch in the fresh air, or take a stroll through the Shanghai Museum. Being so central, Nanjing Road is filled with a wide range of accommodation options. You can easily find Shanghai hotels close by. If you are a lover of labels and luxury goods, you can’t beat the high-end designer stores of Huaihai Road. The second most famous shopping street after Nanjing Road, Huaihai is the home of big-brand names including Cartier, Louis Vuitton, and Tiffany & Co. as well as the boutiques. Huaihai Road also boasts a number of large department stores. You can make a night of it by sampling one of its many restaurants or by staying in one of the local hotels. 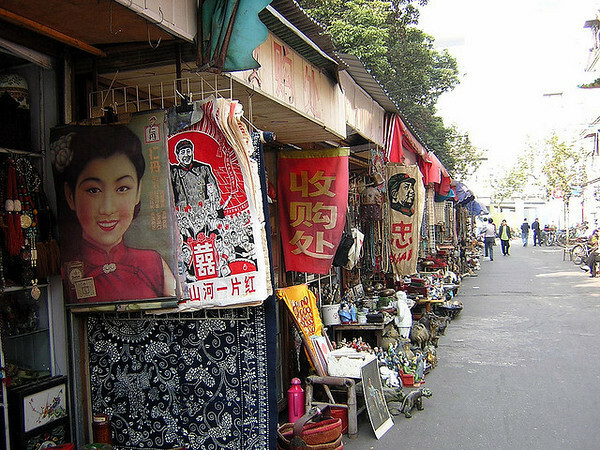 Dongtai Lu Antiques Market is 200 meters long and made up of approximately 100 stalls. It is packed full of vintage goodies, tasty trinkets, antique treasures and a fair bit of junk. Regardless of the quality, it’s a great place to pick up some gorgeous items for home décor purposes. Take note to haggle hard! Food, food, glorious food … almost too many options to take in! Located a 10-minute trot from People’s Square, South Yunnan Snack Street is the perfect place to satisfy a busy shopper’s hungry tum. A cluster of restaurants, street food stalls and other eateries, this historic dining destination offers the best in Chinese cuisine. Sample dumplings, Beijing roast duck, stuffed buns, chop rice cake and other delicious local delicacies. Shop here for: Food in all its forms! For all things electronic, look no further than Shanghai’s famous Cybermart, stocked full of every gizmo, gadget and game imaginable. Here you will find outlets for a range of Chinese and international technology brands, including Apple, IBM, NEC, Canon and Sony. It’s enough to satisfy the palette of even the most discerning tech-enthusiast. As well as being a great place to go computer crazy, Cybermart also hosts a range of phone/computer repair stalls. Perhaps it’s time to get that cracked iPad screen fixed once and for all! An Asian shopping experience in its purest form, the Shanghai Yatai Clothing and Gift Market is the perfect place to pick up cheap goodies. Located underground near the famed Science and Technology Museum, the Yatai Clothing and Gifts Market is awash with handbags, sunglasses, wallets and watches, making it the go-to place for presents. Bring your best bargaining shoes and don’t ever pay more than 30% of the original asking price. Before visiting China, be sure to check out these apps which will help you with the language and with commuting. With so much more things to do in Shanghai, your bucket list is brimming over so another visit to this city might help you cover the entire list. China is becoming a more and more popular destination for travelers of all sorts, from the typical holiday makers to budget travelers looking for a cheap hotel in Hong Kong for a few nights, this country has it all. Stunning sceneries, beautiful temples and delicious Chinese food are some of the main reasons to travel to the Land of the Dragon. However, the prices in China seem to be increasing lately. Avoid taxis and travel around the country using local transport instead. The standing ticket is the cheapest option, but also the least comfortable. Keep in mind that you sometimes will be able to get a hard seat ticket for the same price. If your budget is very tight, you can buy a standing ticket and try to get a seat on the train. Chinese people are very polite and they will not allow you to stand. There will always be someone who will give up a seat for you. China is a huge country, which means that traveling from one place to another often takes up to 26 hours. Thus, the most comfortable option is to buy a hard sleeper ticket. These are usually 3 times more expensive than a hard seat ticket, so it all depends on your budget and how you want to travel. Taking the subway is the cheapest and fastest way to explore Beijing, Shanghai and Guangzhou. The subway tickets in Shanghai only cost RMB2 (£0.20/ $0.30). 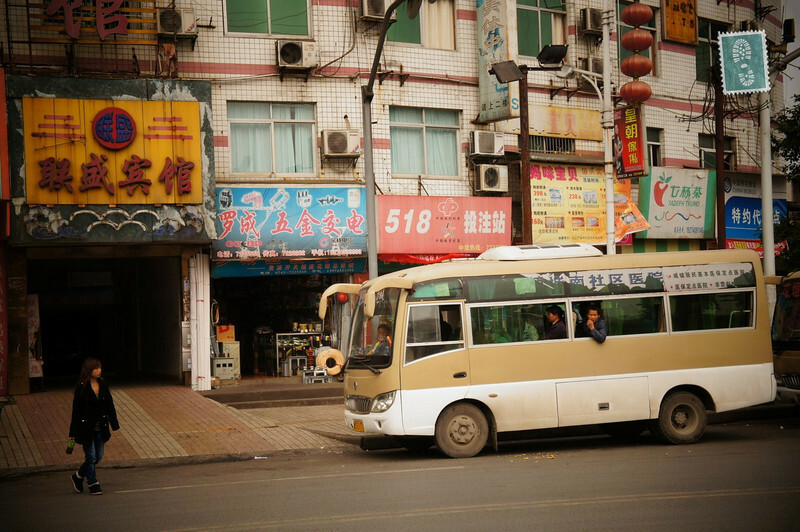 Local buses are extremely cheap, and you can usually get a ride anywhere in the city for RMB1 (£0.10/ $0.16). Meanwhile, long distance buses are sometimes more expensive than the trains, but they are also more comfortable. Sometimes you can even watch a movie or try surfing the Internet (although that rarely works). Be sure to check out these 6 apps when visiting China. The food in China can be as cheap or as expensive as you want it to be. There are always many places to eat and it is often cheaper to eat out every day than cooking at home. 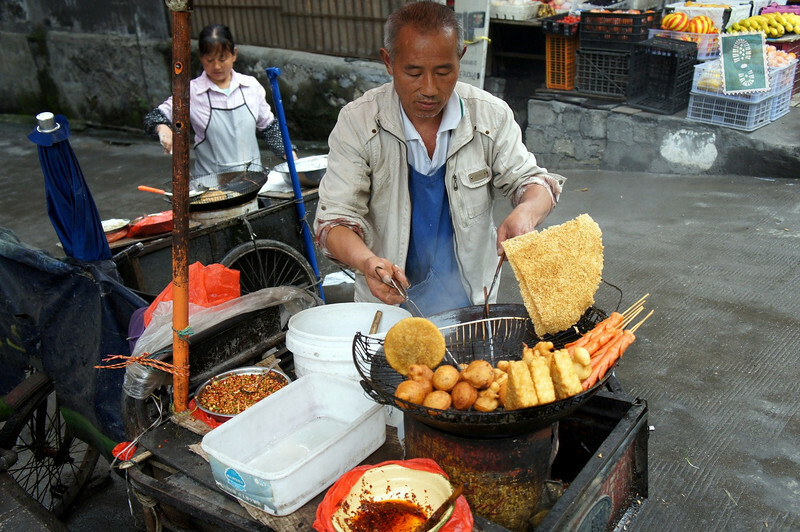 As long as you eat in local places and grab some snacks from the street you will find very cheap food. However, there are many restaurants located in city centers where the food is not cheap at all. The same food in the local restaurant can cost 10 times more in a touristy place, so be careful to check the prices before ordering. The menus are not in English, but you can ask someone around to translate it for you. Can you see the price difference? If you are running out of cash but don’t want to stop travelling, a great way to extend your trip is to look for a teaching job in one of the provinces in China. Nowadays, all schools in every province are looking for foreign teachers to teach oral English to Chinese students. Some schools do not even require you to possess any teaching experience nor TESOL/ TEFL certificate. All they need is a foreigner who would have fun and play with kids talking in English to them. The salary varies from ¥5000 (£500/ $800) to ¥12000 (£1200/ $1900) per month per 16 teaching session a week. Sounds like a decent wage, right? Try to avoid touristy spots and start exploring ‘off the beaten path’ places – it is much cheaper and definitely more adventurous. Have you heard of the Floating Hallelujah Mountains in Zhangjiajie, Hunan province? No? These incredible mountains will simply take your breath away. ZhangJiaJie National Forest Park has been a UNESCO World Heritage Site since 1992 and definitely deserves some attention from travelers who fancy a breath-taking walk among limestone formations rocketing to the sky. Instead of spending weeks in busy Beijing or Shanghai, go explore the Hunan province! Chinese people will be over the moon when they hear you talk some Chinese, often treating you with some nice free food and won’t stop talking to you. Some of them might even ask you to stay overnight at their place! Once you visit the places (Tibet in April) where tourists are rarely seen, you quickly notice that Chinese people do not speak English at all. Therefore, look up some basic Chinese words you will need for everyday conversations such as “hi”, “order”, “food”, “how much”, “too expensive” and go try to speak to them. If you struggle to learn them all by heart, take your dictionary with you and show them. The more of the language you know, the bigger your chances are of being able to haggle down prices. hat’s terrific news, but you shouldn’t rush the departure. There are some things you need to do before teaching in China. Recent studies show that foreign workers who feel at home right upon arrival perform up to 60% higher. Most of these newcomers either have a friend or a relative to guide them, but you don’t need that. Why feel like a stranger when there’s a myriad of welcoming software at your fingertips, regardless of where you set foot? Here are the most helpful Android & iOS attaches in the Chinese republic. Since communication is your greatest prerequisite in this line of work, a viable dictionary is a must. Pleco is not just a collection of peculiar characters, it is an unbelievable tool designed specifically for conversational Chinese. You are bound to be surrounded by unknown symbols throughout your stay. Conveniently, this app translates any Chinese text in front of your camera and even tells you how to pronounce it. Although the app isn’t free, dishing out a few bucks to get your hands on something as useful as Pleco is worth it. Sometimes, even teachers need to do their homework. 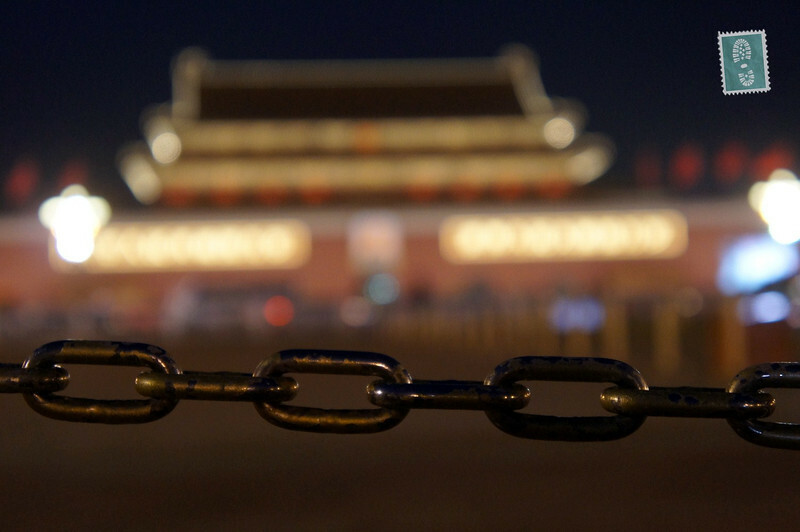 If you’ve done yours, it’s imminent that you’ve heard of China’s harsh internet restrictions. WeChat is the only chat application that China hasn’t blocked for its internet users. Everyone in China uses it, but you can also connect with everyone back in your hometown if they install it. One of the most astonishing features of WeChat is the ability to connect it to your credit card and use it for shopping. Simply scan the QR code, and you will get charged automatically on your way out. Another intriguing function of the app is its scanner. It shows the profiles and distance of the nearby users. This commodity enables you to possibly even check on any late students. Without a doubt, the fastest way of commuting throughout China’s gigantic hubs is by using the subway. Getting to a lecture punctually has never been easier than boarding a bullet train. The Metroman app offers you a real-time map of the current trains, as well as the most optimal route suggestion based on your location and destination. The handy app also works in offline mode and calculates your fares. It covers 24 of China’s biggest cities, allowing you the smoothest transportation experience. You will want to check out this app before teaching in China. As a complete stranger, you will be able to find your way around like the locals. Have you ever seen one of those futuristic films where automatic translations are instantaneous and flawless? That future is now, thanks to Waygo. 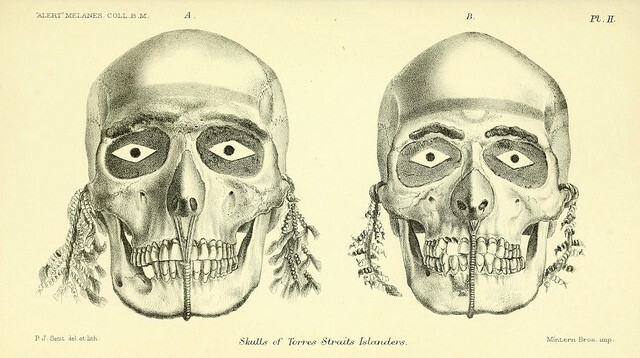 Remember those odd-looking ‘hieroglyphs’ you’re used to seeing in eastern movies or Chinatown? Now you can read all of them in English without a need to stop and scan. Waygo is adamant on making you feel like Chinese is your native language (at least when reading it), and it delivers no less than that! Where will you watch your favorite shows or watch some quality documentaries when China has banned both YouTube and Netflix? Well Youku of course, for it is a fusion of the two. 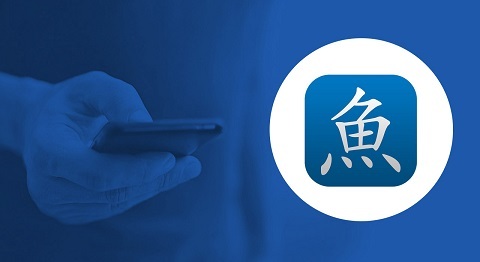 This is one of the most prominent Chinese apps that even foreigners are anxious to start using, although it’s restricted to the Chinese territory. It offers an extravagant viewing experience for both locals and visitors alike. Meet the Chinese version of PayPal, as useful and secure as you can imagine. When you receive your funds from teaching, you will be able to instantly access them on Alipay. Your mobile phone is the only shopping necessity in almost every store across China since Alipay is the nationwide most popular payment method. By putting to use all of these versatile applications before teaching in China, you will eliminate any feeling of alienation. I’ts stressful enough to travel. To understand the language will assist any visitor who’s teaching English overseas. When it comes to getting paid through modern means, it is perhaps even easier in another country than your own. To top it off, the irreplaceable homey piece of mind can now follow you everywhere by the internet. It’s safe to claim that you can live with the same comfort you’re accustomed to, even in a country as reserved as China. Sri Lanka is a country famous for its spicy food and varied cuisine, and while you could write a whole book about the food in Sri Lanka, we shouldn’t forget the drinks in Sri Lanka! Sri Lanka is a perfect destination for those looking for cheap holidays, and since food and drinks in Sri Lanka cost close to nothing, you can indulge in eating and drinking all day long. The days on the tea plantations in Sri Lanka are long and tiresome, and the hard working tea pickers only earn a little over 1 dollar per day, two if they’re “lucky”. We gave this woman some tip after taking some photos, and it was such a sad feeling knowing that the money she works so hard every day to earn, we spend in a heartbeat on the most useless things like ice cream and nail polish. 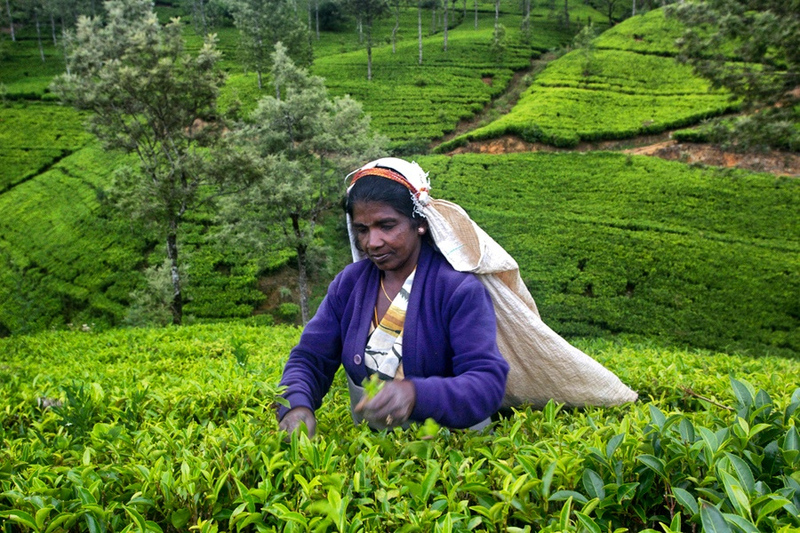 Sri Lanka is the third largest tea producing country in the world, so it is no surprise that tea is one of the most common drinks in Sri Lanka. Tea plants were introduced by the British in the 19th century, and today you can enjoy a cup of the finest Ceylon tea in tea houses overlooking the beautiful tea plantations in the highlands. Just remember that Sri Lankans like their tea sweet – VERY sweet, so if you don’t want a massive sugar kick then ask the waiter to only put one or two tea spoons of sugar in your cup. King coconut palm trees line the beaches and surround the homes of locals, providing shade from the sun along with a thousand other ways to use the coconuts growing at the top. This orange coconut is very important for the Sri Lankan people, who refer to it as a “living pharmacy”. Our taxi driver bought us a couple of coconuts from a street stall and while the seller hacked a hole with his machete knife the driver told us all the possible benefits this “natural energy drink” apparently had. Sri Lankans use the King Coconut, also known as Thambili, in everything from cooking to Ayurvedic medicine. It’s much sweeter (and tastier) than the green Young Coconut and the perfect thirst quencher, you can find it for sale on the streets everywhere. Toddy is a light alcoholic drink (4%) made from fermented coconut palm sap, and is usually served in Toddy shacks around the country. 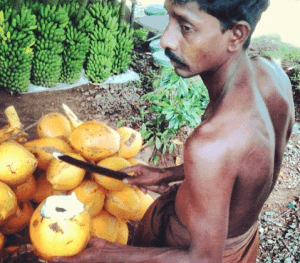 Every morning at dawn, toddy tappers climb onto the palm trees along the coastlines of Sri Lanka and harvest the palm sap from unopened coconut flowers – every tree can provide up to two liters of this stuff every day. The sap ferments immediately into toddy and becomes mildly alcoholic. You drink it like beer, but don’t expect it to taste like it – toddy definitely has an acquired taste – don’t believe anyone who says that it tastes like cider, it’s more like vinegar! Arrack is one of the most traditional drinks in Sri Lanka which is distilled from toddy or palm syrup, and has a much higher percentage of alcohol (60 – 90%). The golden colored drink is often regarded as the national drink of Sri Lanka, and tastes like something between Whisky and Rum. Many people mix it with Sprite, ginger beer or Coke into a cocktail – you can get both these drinks from the local Toddy shacks. Faluda is like a liquid dessert – a sweet combination of milk and rose syrup with poppy seeds and jelly pieces. It’s a muslim specialty, sometimes served with cashew nuts and ice cream – yum! Elephant House Ginger Beer is a popular Sri Lankan soft drink prepared with natural Ayurvedic ginger (one of the few to do this in the world) grown from local farmers in the hill-country. The drink proclaims to have Ayurvedic properties, helping digestion and relieving drowsiness from a heavy meal. It’s really tasty and is a perfect match with spicy foods.